Hippogriffs, dragons, Thestrals and merpeople  discover the magical creatures of the Wizarding World through a series of bewitchingly beautiful paper-cut scenes. This carefully crafted gift book contains four intricate, multi-layer paper-cut scenes showcasing magical creatures from the Harry Potter films in stunning silhouette. 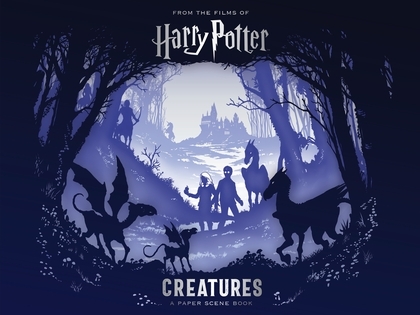 Each paper-cut scene is followed by essential information about the creatures and behind-the-scenes facts from the films. This unique new book is a glorious gift for both ardent Harry Potter fans and younger readers discovering the magic of the Wizarding World, with high production values and irresistibly inventive content.